Chelsea have the opportunity to bounce back in the Premier League when they make the short trip to Watford. 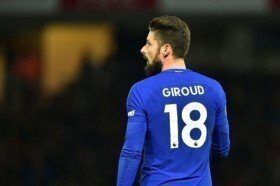 The Blues are currently equal on points with fifth-placed Arsenal after last weekend's defeat to Leicester City and anything less than a victory may potentially drop them out of the Champions League positions. Kepa Arrizabalaga has been the Blues' number one shot-stopper through out the league campaign and he should without question start between the sticks on Boxing Day. In the defence, Cesar Azpilicueta and Marcos Alonso are likely to retain their positions on the right and left side of the backline through one of David Luiz or Antonio Rudiger could be rested. We are anticipating the latter to drop to the bench with skipper Gary Cahill earning his maiden league start of the campaign. In the midfield, N'Golo Kante and Jorginho are pretty much constants when it comes to Sarri's selection policy and the duo should retain their positions with the latter occupying the holding role. Alongside them, Ross Barkley could be afforded a start ahead of Mateo Kovacic, who was poor with his distribution against the Foxes last weekend. In the frontline, Sarri may prefer to go with a striker upfront rather than the recent trend of using Eden Hazard as a false number nine. In this case, we are anticipating Hazard and Pedro to feature on the left and right side of the attack with Olivier Giroud leading the line ahead of Alvaro Morata, who remains a doubt with a knee injury.